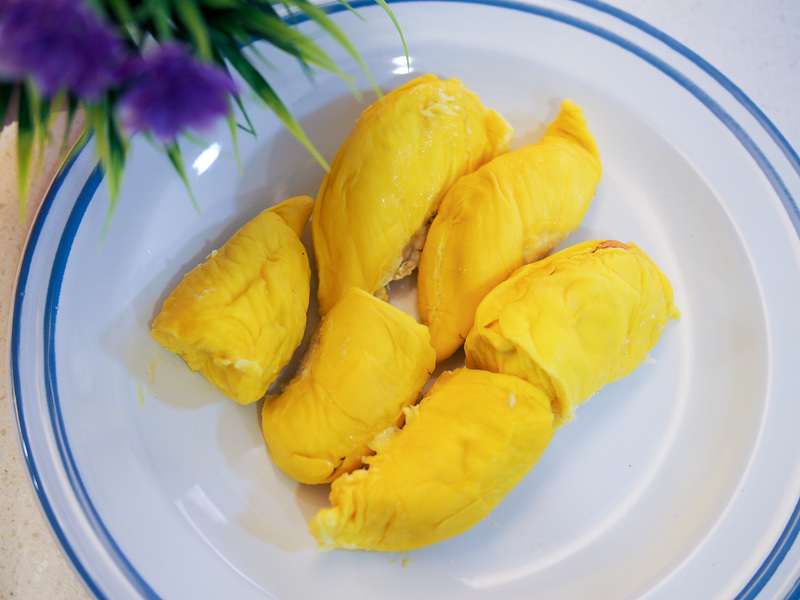 Durian season is back in full swing and we definitely can’t wait to stuff our faces with durians.  My Facebook news feed is always full of pictures of my friends enjoying durians everywhere. Whenever I open my balcony window, I smell durians from my neighbours. Super annoying because they make me crave for durians even more, LOL. However, lugging the heavy durians is a problem when you are not driving. Bringing them on public transport is no-no too. Even if you have a husband who drives, he may not do so because he doesn’t want to leave any lingering durian smell in his car (obviously talking about mine here! ). So, nothing beats getting them conveniently online and delivered straight to your doorstep! 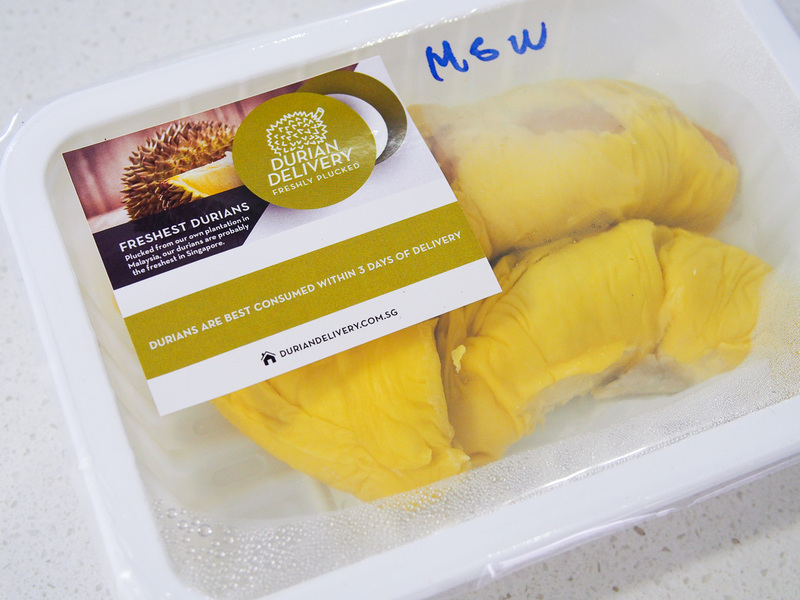 Now, there is even same day delivery of freshly plucked durians. Yes, I’m talking about fresh durians, not the frozen ones. Amazing, isn’t it? 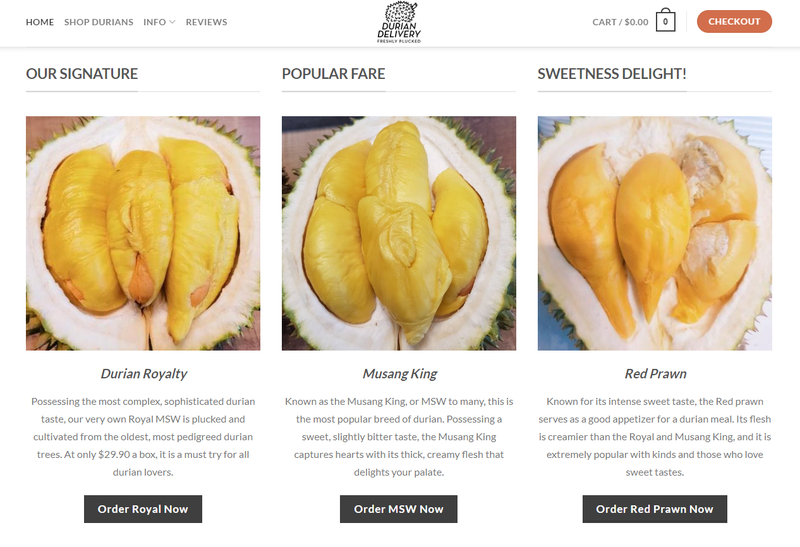 As an introduction, Durian Delivery is a brand new start-up where the founders are durian lovers themselves. 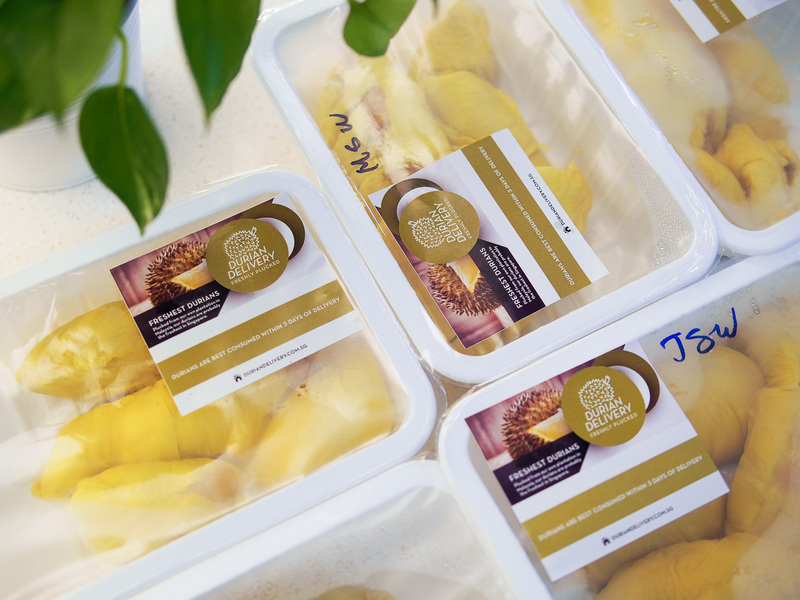 They pride themselves in delivering the freshest durians to your doorsteps within 6-12 hours after they are plucked from their durian plantation. Additionally, they have a dedicated durian delivery fleet coming from Malaysia. These drivers are trained to pick up durians and speed all the way down from their plantation to their packing area in Singapore with no other stops. As I’ve mentioned earlier, the durians from Durian Delivery are extremely delicious and meaty (which is what I loved!).  Their premium Mao Shan Wang is bustling with a rich, creamy and bittersweet flavour. Their texture is smooth, silky and melt in your mouth. All the durians come in a brilliant golden hue without any bruises so that you can see how fresh and professionally packed they are. Durian Delivery believes in serving only the freshest durians to their customers. Hence, they may be the only one in the market who dare to offer 1 for 1 exchange or full refund for unripe/sour/watery durians. The other thing I love most is their packaging. 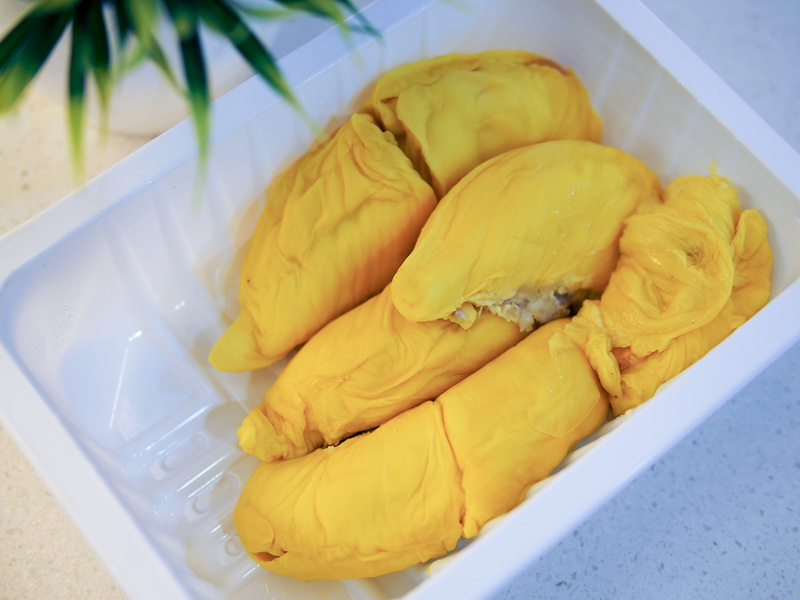 The durians are packed in heat sealed boxes so you can just open one box after you finished one. You can keep the unopened boxes in the fridge for up to 3 days. This way, there is minimal lingering durian smell in your fridge. I love to eat chilled durians; hence I always keep them in the fridge first. Hahah! In my pictures, you might notice that there are some water vapors in the boxes. This is because I put them in the fridge. The actual ones were delivered fresh to me without any water vapor. I just need to clarify here – in case you wonder why there are water vapor. These premium durians are already de-husked, so it eliminates the hassle of prying open durians and finding ways to dispose the shells thereafter. Their lovely packaging also makes a great gift for your loved ones, don’t you agree? The current market price for Mao Shan Wang is $13/kg. Durian Delivery’s prices are per 400g of de-husked durians, not in per kg price as used by normal durian stalls. 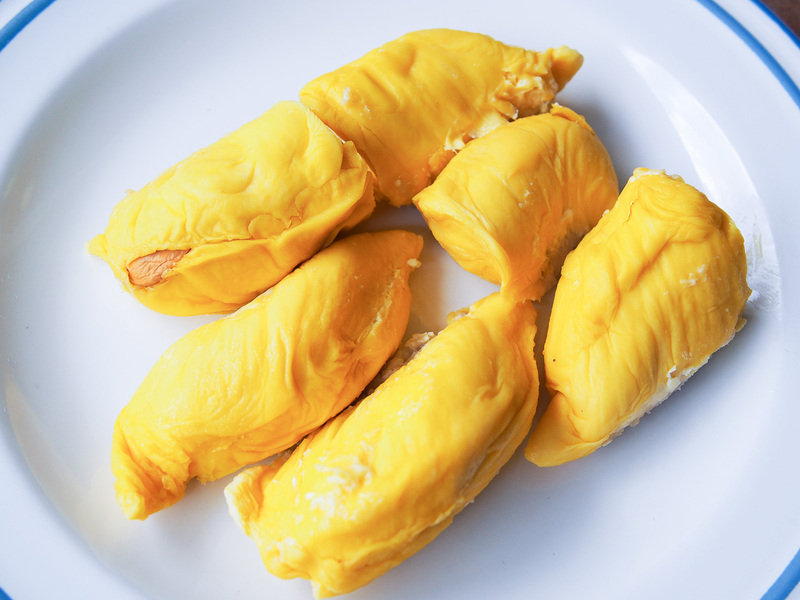 The reason is they de-husk the durians for easy delivery and convenience to the customers. 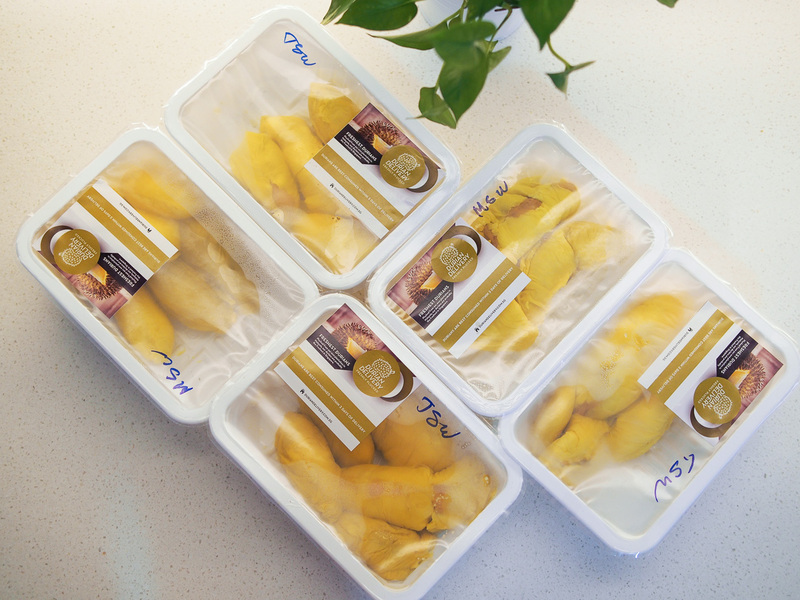 Do you know that 800g of de-husked durians comes from roughly 3.2kg of durian with husk? An 800g pack of Mao Shan Wang is sold at $39.90. If you do the Maths correctly, they are very competitively priced and affordable. 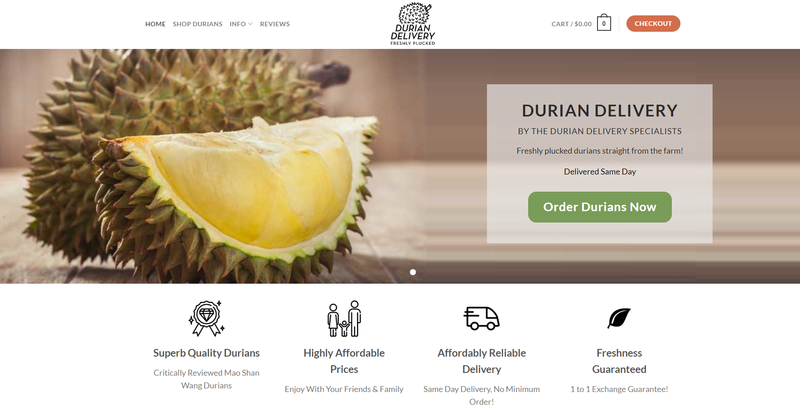 Now, if you crave for durians so badly, you can opt for Express Delivery and receive your durians in just two hours! I’m not joking LOL. Now, hop onto duriandelivery.com.sg for more durian varieties..
Disclosure: Thanks to Durian Delivery for the yummy durian feast! We received the same kind of durians like any other customers so that our review will be authentic.